KAMPALA – There was jubilation in the Law Development Centre court on Wednesday morning after the magistrate dismissed a case against People Power activist Moses Bigirwa. Bigirwa, who is a member of the Uganda Young Democrats, a youth group of the Democratic Party, was acquitted of the charges of publishing false news against the government. 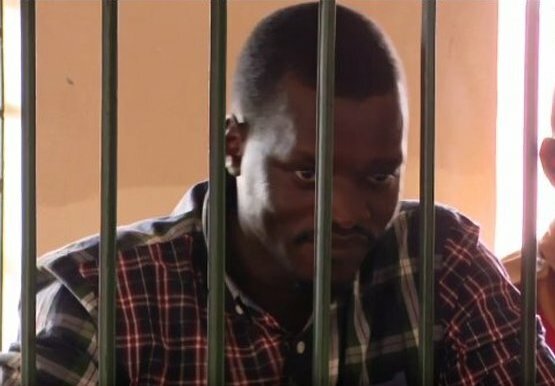 He had been arrested and accused of publishing false news and defaming government by alleging there was a plan to assassinate Kyaddondo East legislator Robert Kyagulanyi Sentamu aka Bobi Wine during the Arua Municipality by-election in August 2018. State prosecutor Roseline Kipolwa had asked court to allow her an adjournment because the police file was forwarded to the DPP for scrutiny. But in reply, Bigirwa’s lawyers Asuman Basalirwa and Samuel Muyizzi objected to the adjournment saying once court declares charges as defective the accused is automatically acquitted. Bigirwa has been on remand at Luzira prisons since the 4th of January 2019. He was arrested on the 29th December 2018 after a talk show on Top Radio where he allegedly uttered false news about the government intention to shoot at Bobi Wine while in Arua.